MMO Starter Kit is available for purchase on Sellfy! 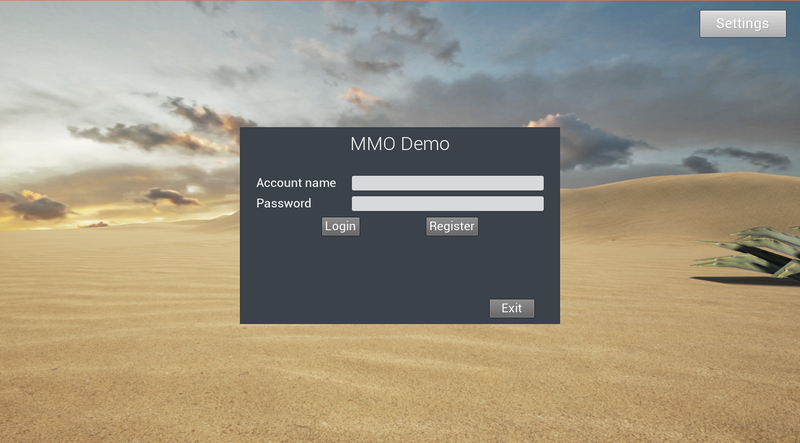 I would like to present the project that I've been working on for quite some time already - MMO Starter Kit. 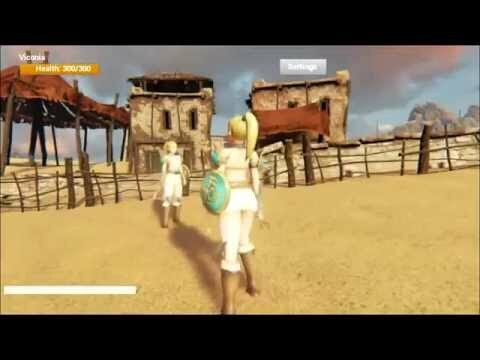 I have been carrying the idea of an MMO kit for more than a year now, and have tried different engines and approaches, but only when I saw Unreal 4 this became a serious project for me. I believe that Unreal Blueprint system can truly allow anyone to create their own MMO game, and with the engine's next-gen graphics that game can turn out to be truly fantastic. Fully in Blueprints. I'm an experienced programmer but Blueprints have totally won me over. The only subsystem that I had to code was the connection to the socket chat server and I made it into a plugin so it's still being accessed from Blueprints. Persistent storage of data in a mySQL database. 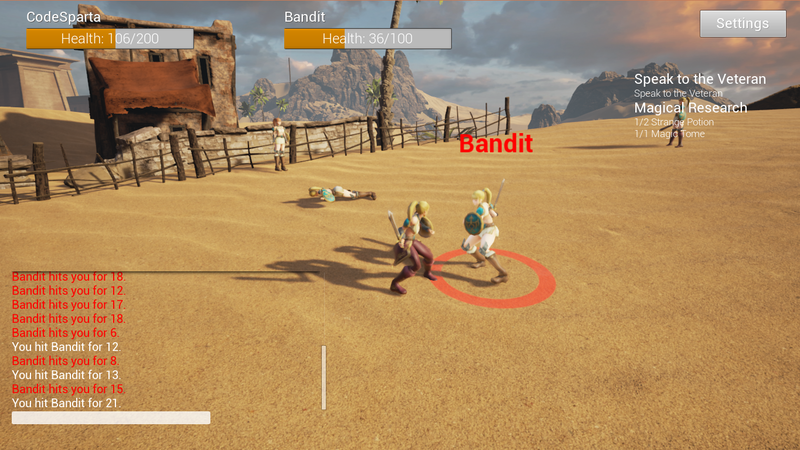 Character position and stats are saved when the character logs off and restored when it enters world again. No third-party solution (such as Photon or RakNet) required - so no monthly fees and you are free to host your server anywhere you want. I'm hosting the demo server on Softlayer and will provide detailed instructions on how to set up a server for those who are new to dedicated servers in general. Registration, login and character creation. Closing note: MMO's are pretty feared in indie gamedev community and new users who have a MMO dream are often laughed at. There's also an aura of secrecy about them, maintained by people who have once dived into MMOs a little but failed and are unwilling to share their knowledge with the others, prefering to discourage them instead. Well, they are wrong. It is possible to create an MMO, and it doesn't necessarily cost millions. Just as Unreal 4's graphics would cost millions to achieve some few years ago, those things just become more available as the time goes. 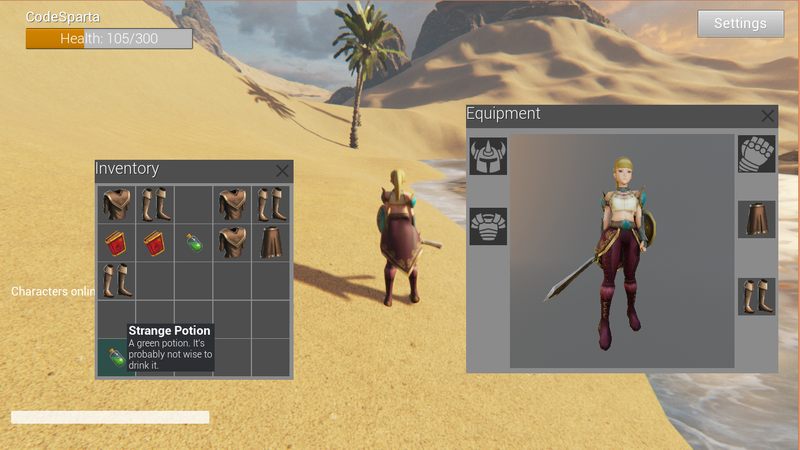 My goal is to create the best MMO kit for Unreal, with extensive documentation that covers not only how to work with the kit from within Unreal, but also things like how to order and set up a dedicated Softlayer server. Credits: I would like to say thank you to Vladimir Alyamkin (ufna) for his wonderful VaRest Plugin, released under MIT license. It's people like this who move the indie gamedev community forward. The map used in the demo is by Epic Games. Last edited by CodeSpartan; 04-06-2019, 01:33 PM. Games. The Way We See Them. Thanks for your interest guys. In order to release this, I need to finish the basic documentation and also handle some legal stuff concerning the model I'm using in the demo. The price will be $90. Btw, just saw someone from the forum named Blackmambas on the server, too bad I was afk and couldn't reply. I'd love to see this as well. And is $90 for the code? What would the $90 get me? Sahbaum, everything: the demo project linked above and the two standalone applications (socket chat and patcher/autoupdater). The source of both the Unreal project and those two apps is fully open, no dll's. Also the documentation, obviously. Could you also quickly expand on the server side? Is it Unreal's dedicated server or a third party such as Photon? Interested to know more about this as well, is the server mainly just handling the sql database to store login, spawn location, character & stats? 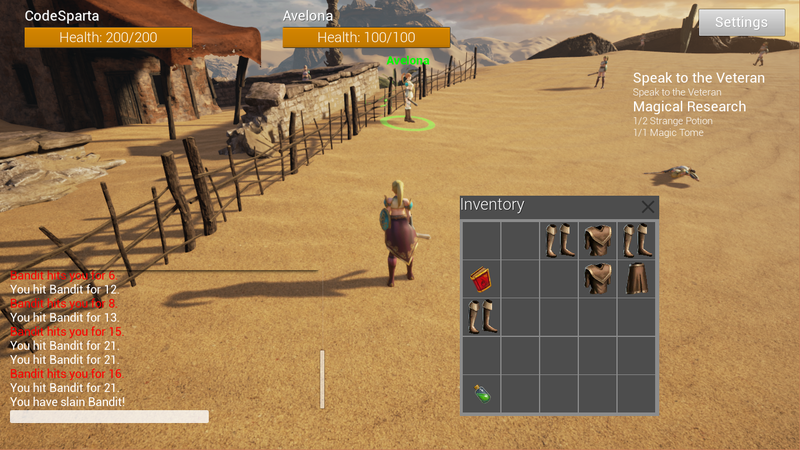 Everything else is the normal UE4 server handling movement physics etc? I left you a comment on the youtube video with some more questions! Looks superb & cant wait to use it! Unreal's dedicated server. 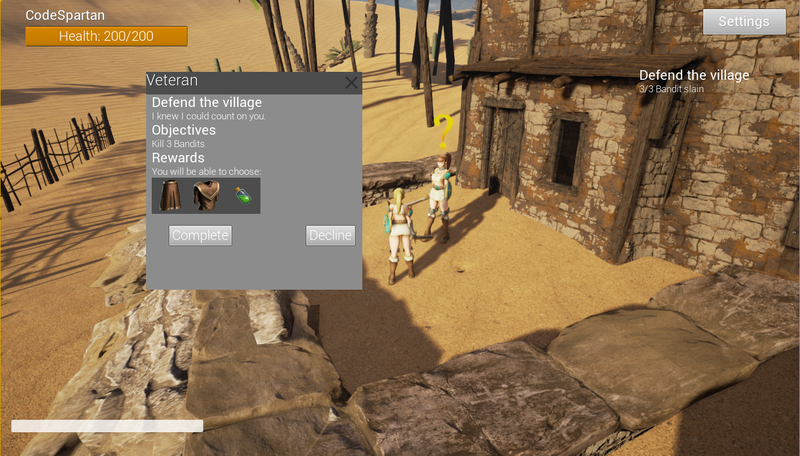 My previous MMO-like attempt was using Photon and I didn't quite like it. Besides, I dislike the idea of paying a monthly fee for a networking solution ($175/month for 501+ ccu in case of Photon). Last edited by CodeSpartan; 12-01-2014, 04:47 PM. Thanks for your interest in this. You are right, stuff like who can attack what, calculating damage, NPC AI etc is done by a normal Unreal server (well, not your normal listen server, but a console dedicated server). The client or the server (depending on the situation) connect to the php scripts that connect to mysql and handle the authorization, saving and retrieving character data, etc. Then there is a third server, which is a socket chat server, done in C#. 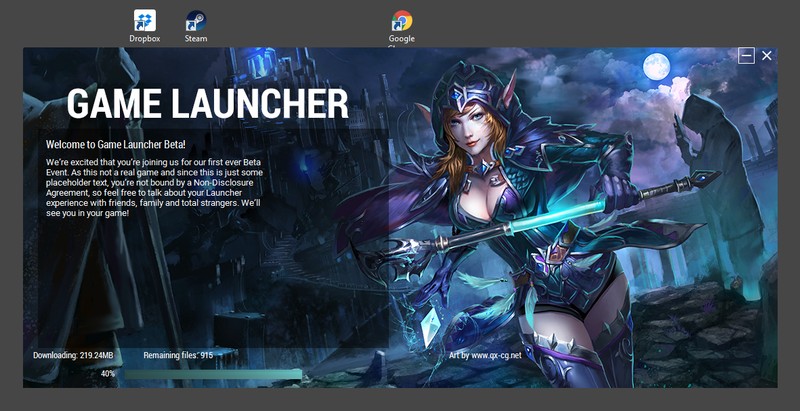 For a serious MMO it would be launched from a separate machine, but for the sake of demo, I just run it from the same virtual machine the main server runs on. I didn't find your comment on youtube however, maybe it will appear in a while. How many clients can you handle at the moment? This is a tough question jonimake. It is not easy to set up a test with thousands of real clients to measure the resources spike. To give you an idea of how resource intensive it is, I'm currently running it on the very lowest Softlayer configuration ($28/month). The server currently occupies 45 MB of RAM, and the difference isn't noticeable when 10 people connect. The CPU usage is very low as well. Last edited by CodeSpartan; 12-01-2014, 05:07 PM. I'm a bit worried about the scalability of using Unreals traditional networking. With Photon or Smartfox you rely on a totally independent infrastructure and so you are able to server to a very large number of connections, will this approach work for 64+ players? In case there will be problems with large numbers of players, I already have possible solutions in mind, I could either write my own socket server based of the current socket chat server or indeed switch to Photon (I have experience with it and know the framework). There hasn't been any indication of those problems though so far.